The Maserati MC-12 is a limited production two-seater sports car produced by Italian car maker Maserati to allow a racing variant to compete in the FIA GT Championship. 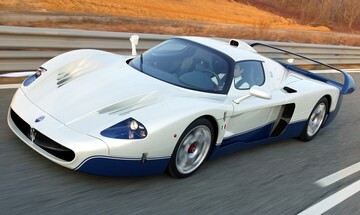 The car entered production in 2004, with 25 cars produced. A further 25 were produced in 2005, making a total of 50 cars available for customers, each of which was pre-sold for €600,000.